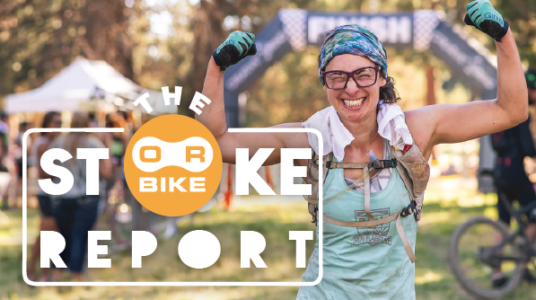 Welcome to the Stoke Report, a celebration of incredible supported bike events in the Oregon region. From gravel to dirt, forest to wide open road, urban to rural, we are so fortunate to have a wealth of bike events big and small that cater to every bike interest. Cheers to the hardworking event managers who coordinate these events, to the volunteers who donate their time, to the riders who register and support the rides and to the dreamers who come up with the creative concepts in the first place. Oh how we love dreamers! So how did this year go for rides in Oregon? Let’s consult with the ORbike Stoke Report. What got you stoked this year? What did you love about the events this year? Be sure to add your Stoke Points below in the comments. Special thanks to Mike Ripley for dreaming up the concept for The Stoke Report.